KIEV, Ukraine -- Ukraine's government is going to install licensed software onto all of the state agencies' computers within the next six months, Ukraine's Deputy Prime Minister Borys Kolesnikov said in time of a meeting with Microsoft CEO Steve Ballmer on Friday. 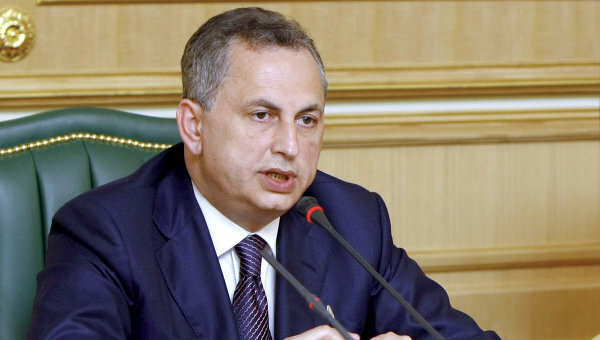 Ukraine's Deputy Prime Minister Borys Kolesnikov. "The first task we have set for the local offices of the corporation is complete legalization of the software used in the state agencies," the website of the Ukrainian government quoted Kolesnikov as saying. The move will be of advantage not only to Microsoft but also to Ukraine from the perspective of investment and modernization, Ballmer said.